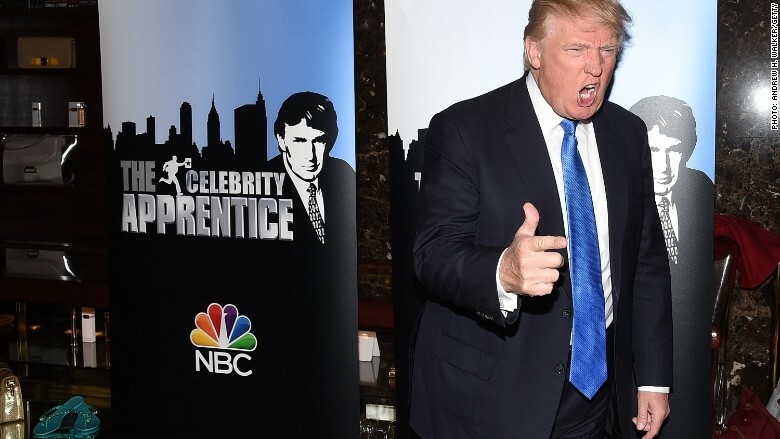 'The Apprentice' was key to Donald Trump's political success, NBC executive says. Donald Trump wouldn't have overwhelmed the Republican presidential race without his exposure on "The Apprentice," the NBC executive who currently oversees the show said on Tuesday. "Would Donald Trump have become the presumptive Republican nominee without ['The Apprentice']? Of course not," said Paul Telegdy, NBC's president of alternative and late night programming, who clearly anticipated the question. Telegdy was part of a panel about the state of non-scripted TV, presented by the Hollywood Radio and Television Society. Seeking to be diplomatic, he restated the premise, framing it as whether Trump would have enjoyed the level of success he has in the primaries without the show's image-building role, then answered, "Of course not." Telegdy added that the persona Trump has projected on the campaign trail "seems to have been in lockstep with his persona on the show," one that was shaped on TV in concert with producers and editors. He noted that for the NBC personnel who worked on the program, watching the presidential race unfold has felt "peculiar." NBC is continuing "Celebrity Apprentice," with Arnold Schwarzenegger replacing Trump as host. Telegdy inherited "The Apprentice" when he joined the network. The program premiered in 2004, when Jeff Zucker, the current CEO of CNN, was president of NBC Entertainment. Participants on the panel also noted that reality TV has become a mature business, and that a recent emphasis on lighter, more comedic shows, such as NBC's "Little Big Shots," perhaps in part reflects a reaction to the present political climate. Executives agreed that the unscripted genre has reached a stage where it's difficult to surprise viewers, even with more outlandish concepts. "People are immune to being shocked anymore," said Mike Darnell, president of unscripted and alternative TV at Warner Bros. That's noteworthy, since during his long tenure at Fox, Darnell was associated with a number of programs that were deemed shocking at the time, from "When Animals Attack" to "Who Wants to Marry a Multimillionaire?" Trish Kinane, president of FremantleMedia, added that with more provocative shows, viewers "don't believe it anymore. They think it's manipulated." Darnell was among those responsible for launching "American Idol," which finished its 15-year run earlier this month. Although several reality shows have become long-running mainstays, including franchises like CBS' "Survivor" and "Big Brother," Darnell said he wasn't surprised to see the music competition end. "The answer is nothing lasts forever," he said.